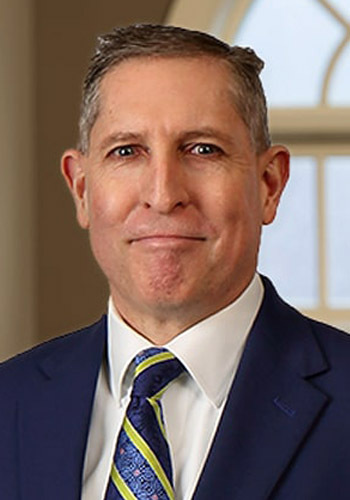 Kevin K. Fitzharris, Esq. - Mediator & Arbitrator based in Fort Wayne, Indiana. Please click your preferred available date to submit a request. Your Appointment Form will be sent to Kevin's assistant, Denise L. Claxton. Kevin K. Fitzharris, a partner, is a registered civil mediator who concentrates his litigation practice in the areas of alternative dispute resolution (ADR) and commercial litigation. He focuses most of his time on serving as a mediator to help individuals and entities solve their disputes before filing suit or before trial. With over twenty-eight years of litigation experience, Kevin has represented major litigants in numerous mediations, arbitrations, jury trials, and bench trials. Kevin is a highly skilled mediator having mediated hundreds of cases. An AV® PreeminentTM* rated attorney by Martindale-Hubbell based on its peer review ratings, he has also been selected for inclusion in the Indiana Super Lawyers® publication since 2014 and is listed in The Best Lawyers in America® publication. He has presented a large number of seminars on litigation related topics, including speaking at the International Association of Insurance Professionals, the Indiana Continuing Legal Education Forum, American Inns of Court, and for other groups as requested. Topics he has spoken on range from “Handling Difficult Scenarios: Tips from Mediators”, “Anatomy of a Civil Litigation” and “Traumatic Brain Injuries”, to trial tactics and legal updates in the litigation area. J.D. from the University of Notre Dame in 1990.